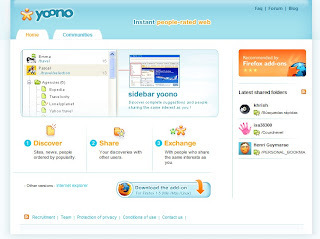 Yoono is a social networks empowering contextual search, that offers people to find good website while they surf online, and share them with other people. It is an online web page rate community, you can find what other people interesting are. You need download a plugin for IE or Foxfire browser.